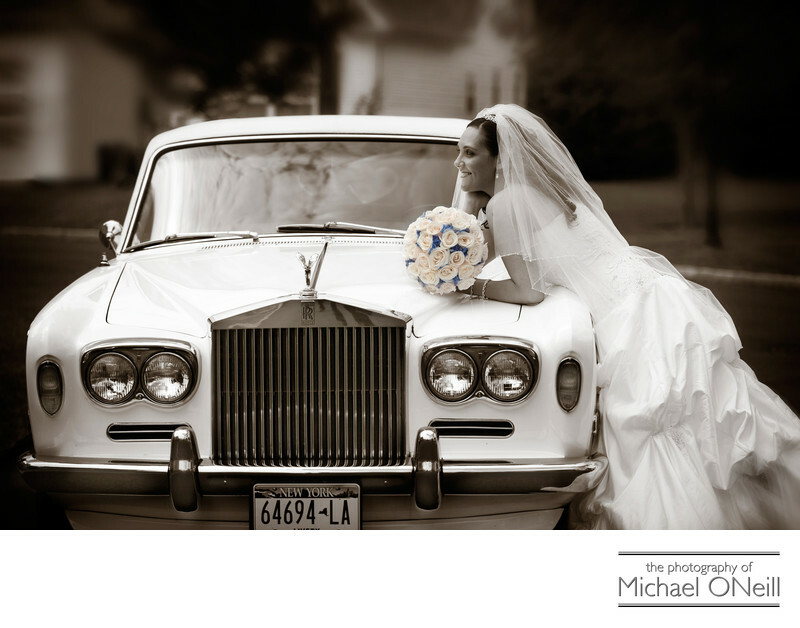 I love this wedding photo of the bride leaning over the hood of her Rolls Royce limousine. I recall the moment I took this photo like it was yesterday. The bride, Deborah, was such an amazing client to work with. She was fun, spontaneous and full of excitement on her wedding day. Her family was a joy to work with, too. This picture was taken as the bride was leaving for her wedding venue, Lombardi’s on the Sound, on the waterfront on the North Shore of Long Island in Port Jefferson, New York. In a little while her groom would be seeing her in her wedding dress for the first time...the reveal. It was an emotional moment when the bride’s father saw his daughter in her wedding gown and I anticipated a similar reaction from her husband-to-be. But in the meantime it was all about candid, spontaneous, fun pictures to remember her wedding day.